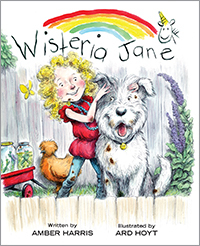 Wisteria Jane is the latest children's book from Redleaf Lane. 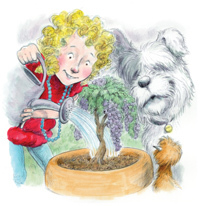 Spunky Wisteria Jane is named after her mother's favorite flower and sees the world in her own special way. She loves jumping in mud puddles, desperately wants a pet unicorn, and tells her friends that her favorite color is "rainbow." Wisteria Jane's days are filled with adventures, giggles, bumps, bruises, and some important life lessons. We recently had the pleasure of chatting with Amber Harris, author of the new Wisteria Jane series, about her life as a mother, wife, teacher, and writer. 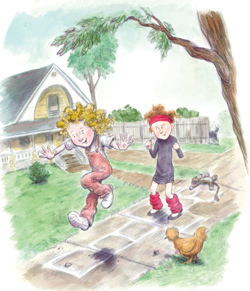 She shared some great memories from her own childhood and offered some background on where the idea for her main character, spunky Wisteria Jane Hummell, came from. We hope you enjoy getting to know Amber as much as we have. I am so excited to be a part of the Redleaf Press family, and thrilled to have the opportunity to tell you a little more about myself and Wisteria Jane Hummell. I planned from an early age to write children’s books. I don’t remember voicing this desire until high school, but apparently I was documenting my plans to become a writer by the ripe old age of ten. Thank heavens for journals. I absolutely love learning, so college was not even a question. My undergraduate degree, from The University of Arizona, is in communicative disorders. I then went on to get a M.Ed., in Autism, from Arizona State University. I realize that neither of these degrees would lead an outsider to believe I was headed towards a career in children’s literature, but it was my crazy personal path towards a dream. In between all this education, I met and married my amazing husband, and we were blessed with three beautiful children. It’s hard to believe I’ve been married 18 years. It’s even harder to believe these three kids are really mine. They are the funniest people I’ve ever met. Over the past three years each of my children requested that they be homeschooled, which was NOT part of my original life plan. But homeschooling has turned out to be one the most entertaining experiences in my life. I get to spend my days with the three most important people in my world, and they actually enjoy it. All this extra time spent with these three nut balls has only given me more crazy moments to write about. Where did the idea for Wisteria and all the characters in her world come from? Wisteria’s adventures are a culmination of lessons I’ve learned as a parent and a teacher. All three of my children have provided me with material to write about, but my youngest is truly the muse for many of Wisty’s experiences. Much like Wisteria, my daughter is a feisty free spirit who is driven by honesty and innocence. I find their pure intentions to be both entertaining and enlightening. My children have reminded me of the joys that come from seeing the world through the eyes of a child. I obviously understood this at one time, but as the years have passed and the innocence of a child’s perspective has faded away, a more rigid adult mindset took over. I am learning to balance these two perspectives, and find that writing provides the perfect platform for sharing some of the lessons I’ve learned alongside my children. I hope parents, teachers, and the children they nurture will love Wisteria and her adventures as much as I do. Wisteria learns a wonderful and important lesson from her mother. Do you have any similar lessons or experiences from your own mother? My mother took all five of her kids to the Naperville Public Library, every other week, and let each of us get 30 books. That’s 150 books my sweet mother had to lug home. As soon as we walked back through the front door, I would plop myself down over the heating vent in the family room and get lost in those books. There was a time when I was convinced the Littles actually lived under my bed. I never did see them, but there were signs. This love for reading spawned a love for writing. 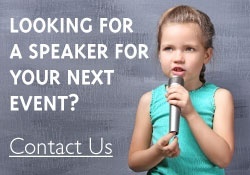 Learn more and see a full list of titles by Amber Harris.